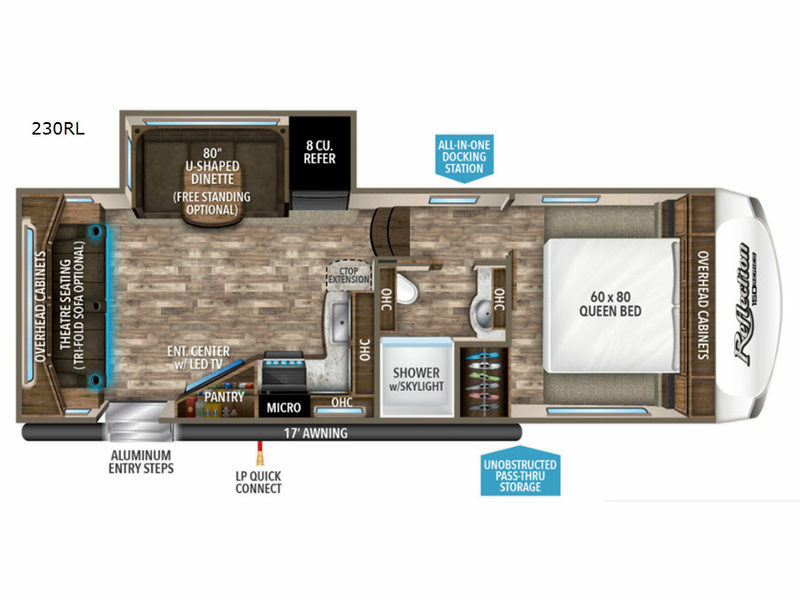 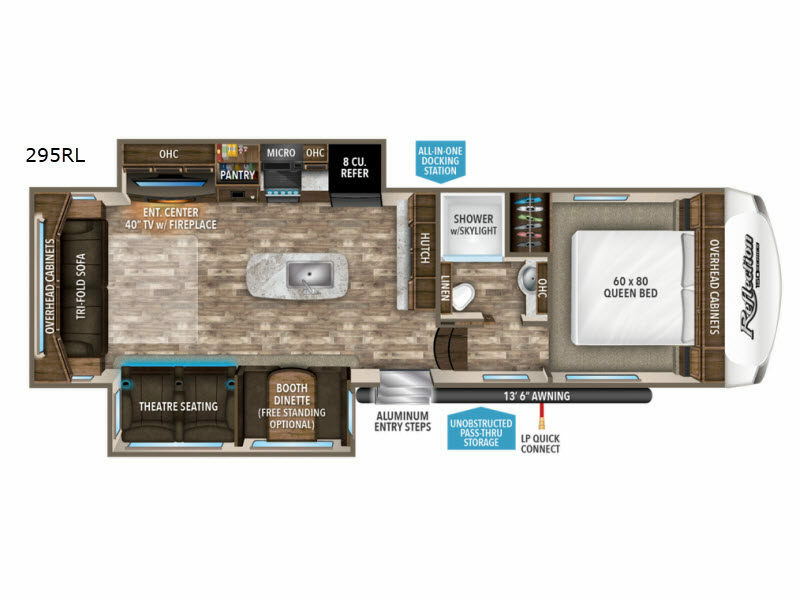 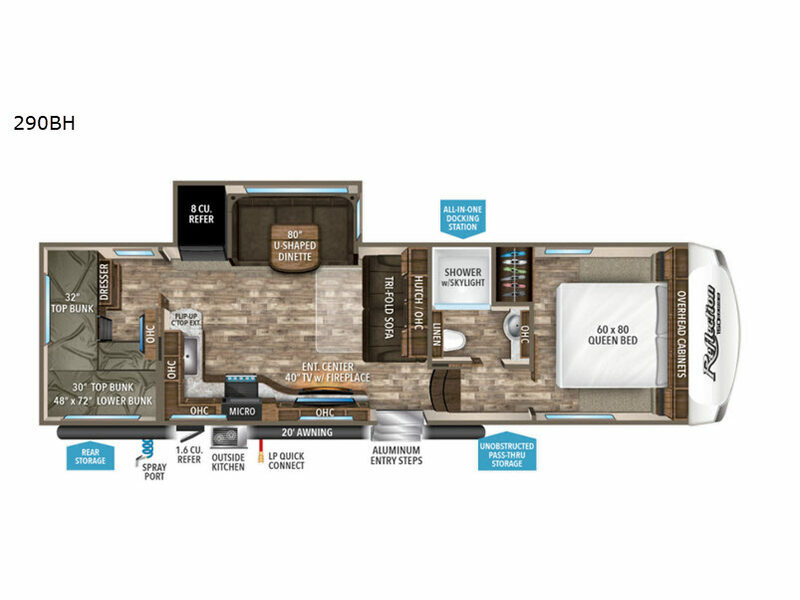 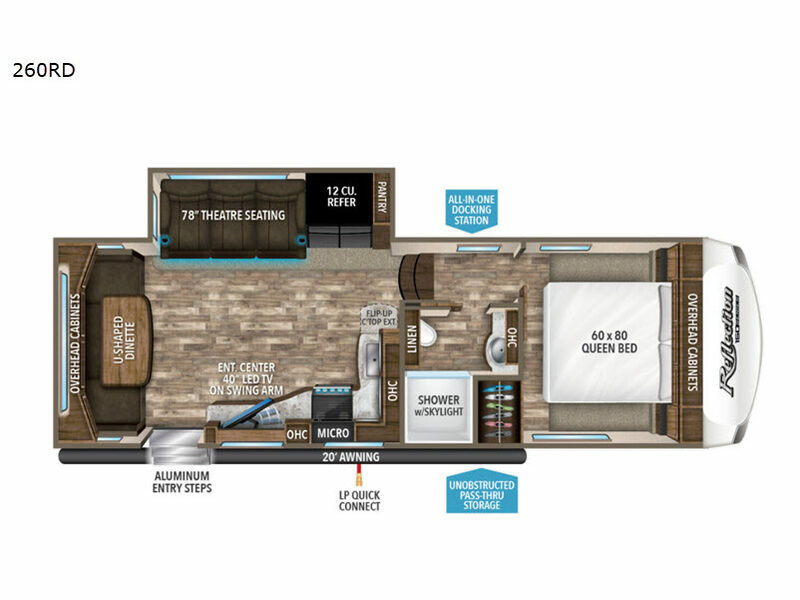 Grand Design is proud of the spacious interior and luxury features offered in the Reflection 150 Series fifth wheel. 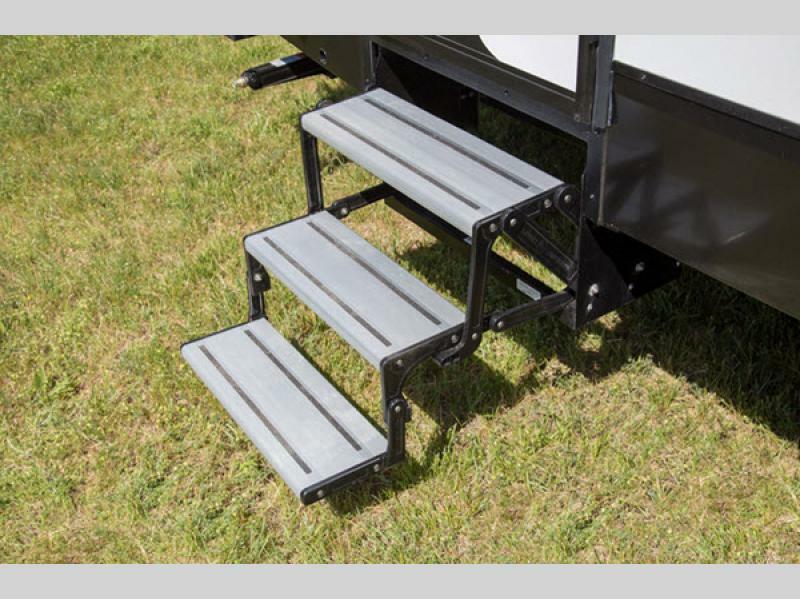 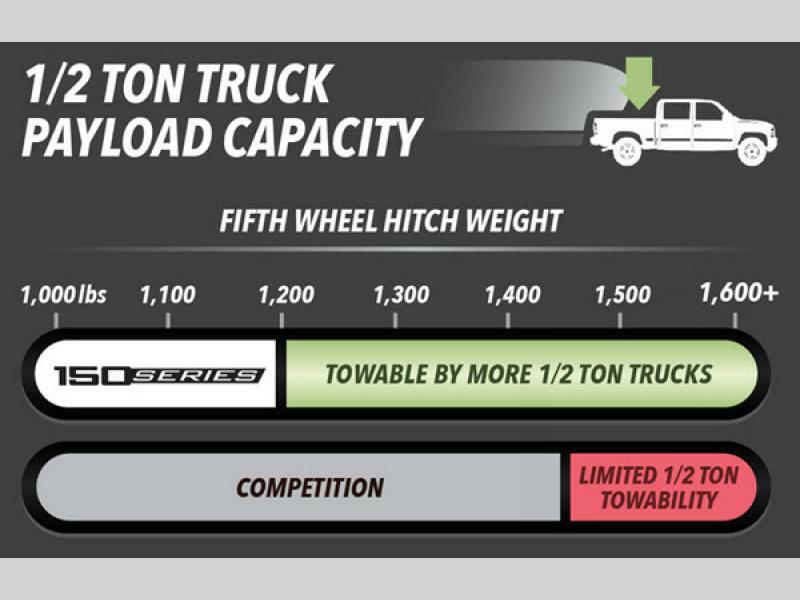 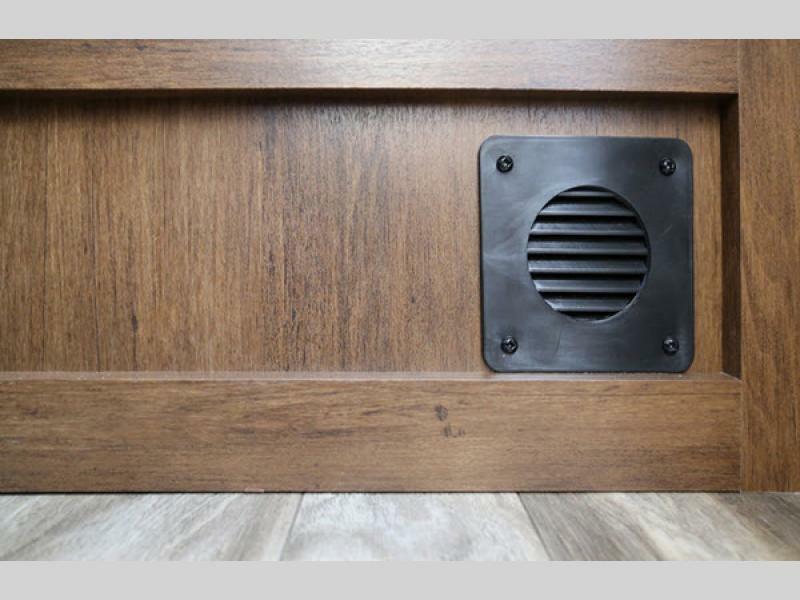 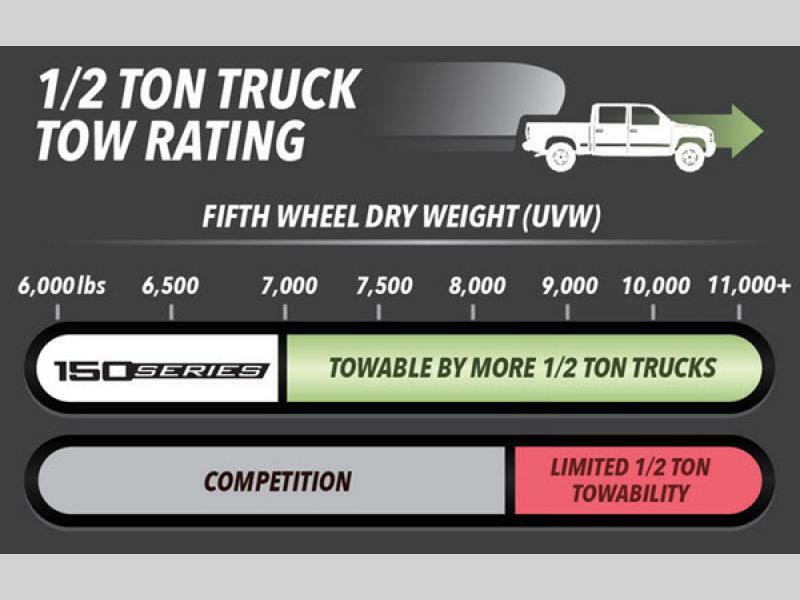 The 150 Series is specifically designed for those half-ton towable short-bed trucks, and it provides a hitch that features a 90 degree turning radius without the use of a slider hitch. 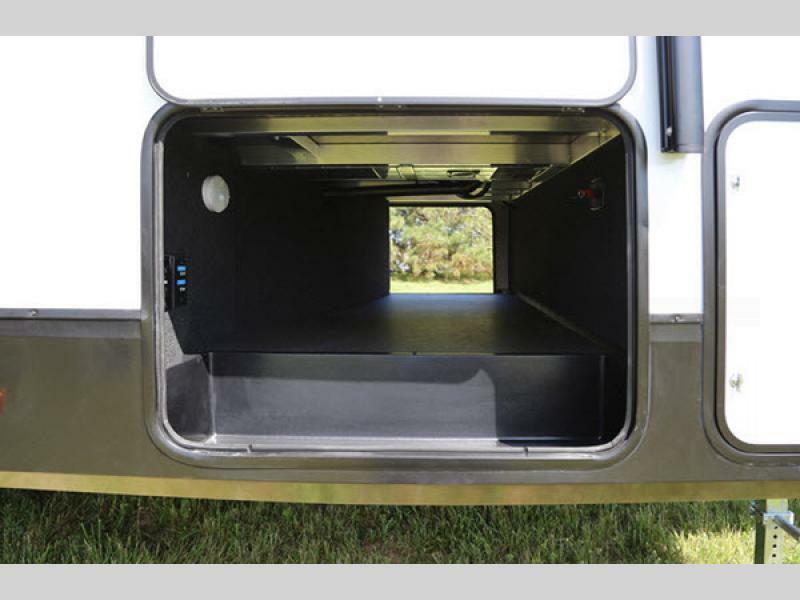 You will also find these units to be over 1,000 lbs lighter than competitors with dry weights starting at under 7,000 lbs, and with all of the many wonderful features that come in the included Arctic 4-Seasons Protection Package, like the heated and enclosed underbelly with circulating heat, you will have plenty of extended camping fun throughout the entire year! 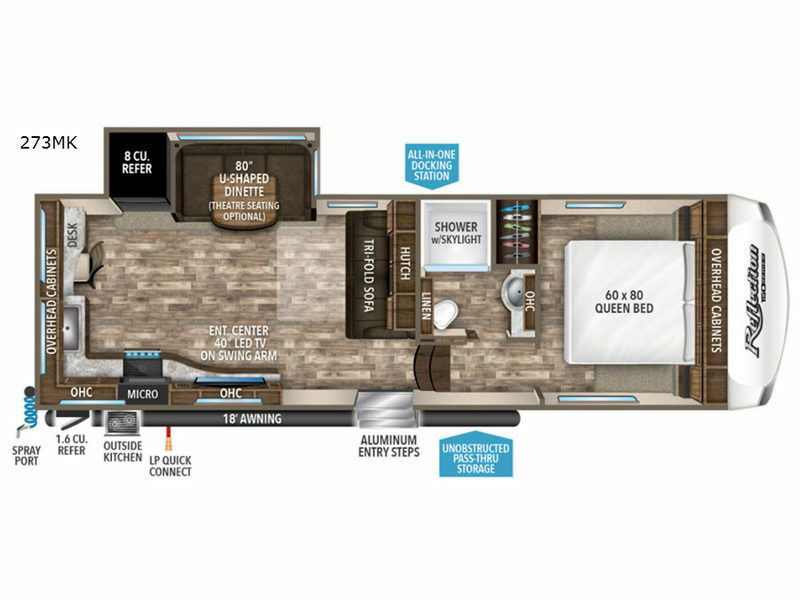 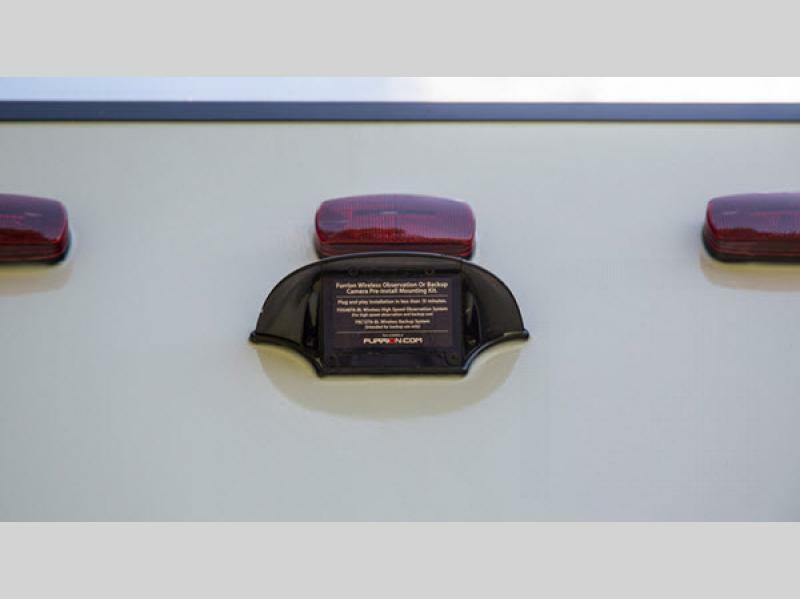 Come get your new Reflection 150 Series fifth wheel today and begin your camping season making memories that are sure to last a lifetime!